WALL, N.J. (SEND2PRESS NEWSWIRE) — “Wall Street Whiz Kid” Peter Grandich, who works with current and former NY Jets and NY Giants, has come to the aid of Jets Superfan “Fireman Ed,” who may be facing assault charges for allegedly shoving a Giants fan at the August 16 Giants-Jets preseason game at the new Meadowlands Stadium. Grandich, founder of Trinity Financial Sports & Entertainment Management Co., has engaged the services of Robert F. Munoz of the offices of Lomurro, Davison, Eastman & Munoz to represent Ed Anzalone in East Rutherford Court. “I’m grateful that my good friend Peter Grandich is providing legal representation for me,” said “Fireman Ed” Anzalone. “Fireman Ed will be vindicated, and so will Jets fans everywhere,” Grandich says. Labeled the “Wall Street Whiz Kid” by the media, Peter Grandich founded Trinity Financial Sports & Entertainment Management Company with former New York Giants running back Lee Rouson. His daily financial blog, The Grandich Letter, is read online by thousands of investors at www.grandich.com. The company is located at 2431 Atlantic Avenue, Manasquan, NJ. 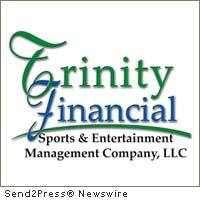 For information about Trinity Financial, go to www.TrinityFSEM.com or call 732-642-3992.